Professional brushcutter/clearing saw with the STIHL M-Tronic™ system for optimum engine performance at all times. Superior cutting takes a sharp blade and equally sharp technology. The FS 460 C-EM is the first STIHL brushcutter available featuring the STIHL M-Tronic™ system – an intelligent engine management system designed to deliver optimum engine power at all times. The STIHL M-Tronic™ engine automatically adjusts to changes in elevation, temperature, air filter cleanliness, fuel quality and octane levels, eliminating the need for manual carburetor adjustments. And that’s just the beginning. 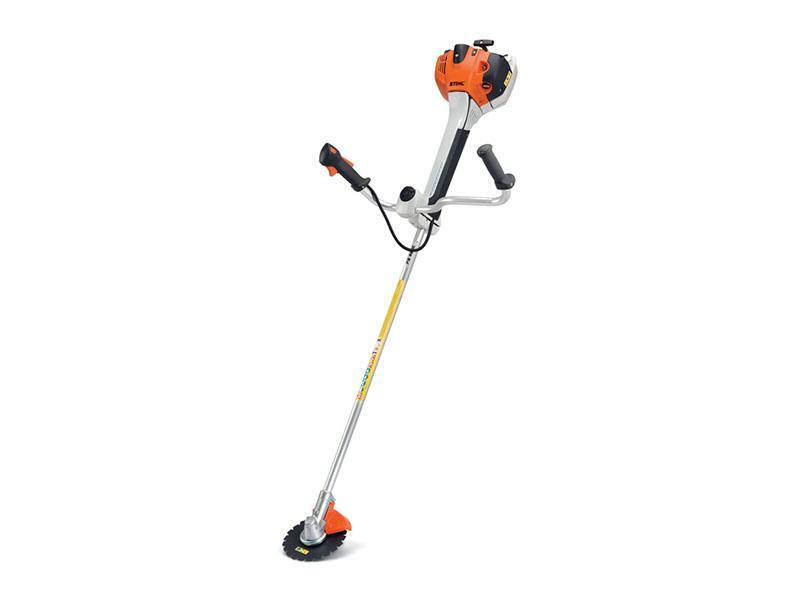 With a 29% increase in engine power over the FS 360 C-E, yet many of the same hardworking features like STIHL Easy2Start™, a fuel-efficient, low exhaust emission engine, vertically pleated paper air filter element for extended service life and a four-point anti-vibration system for improved comfort, the FS 460 C-EM definitely ranks high for superior performance.